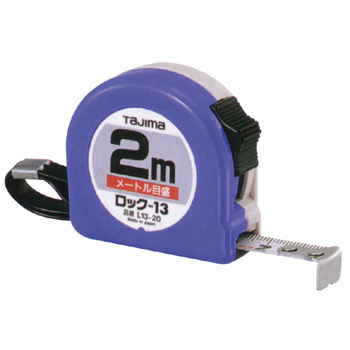 It is the smallest item in Tajima tool, but it is firmly made, the scale is easy to see. It is a recommended item for always carrying around. This review is about item#5861974. It is used for measuring the length of cut pieces of iron and stainless steel products. + - 0.5 can be discriminated. I purchased the same thing because my favorite measure has been using doubt for many years. It is a type without a scale. I also want to use it for many years. When you use a new one, if you fix it to one, it seems to last long. Taking two new things, it seems like an accident. As a rule of thumb. It is easy to use. I always use it because the scale and the tip will last for the price. It is good that rewinding is not tough. It seems that it does not matter how it is, but I think that it is a tough measure so it is a good major for expendable items for a long period of time as a consumable item. This review is about item#05861974.